It’s rare to find a homeowner with the right tools and know-how to deal in safe arboristry. That’s why when you have a tree in need of some maintenance, the safest choice is to call the fast and friendly experts at Green and Gold Tree Removals. We can safely cut down trees as well as deal with stump removal Wantirna wide. 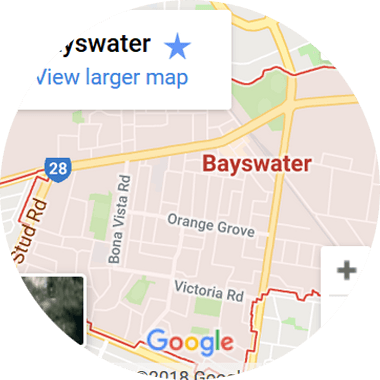 We’ve been working with customers all over Wantirna and surrounding suburbs for almost two decades. Our team of expert arborists can assess your outdoor space and then tackle the problem head-on, whether you’re in need of tree cutting or complete tree removal Wantirna. We offer an extensive list of services to schools, sports areas, council and government as well as residential and corporate clients. Trees outgrowing their designated surroundings, invading your pipes and clogging up the plumbing, or trees that are diseased, dying or dead – these are just a few of the situations where removing a tree is the best option. And when you need these serious tree jobs to be taken care of, Green and Gold are the best people for the job. We have over two decades of tree removal experience, so you can be sure that we have the right skills and know-how to handle each and every arborist situation. Using our variety of proven strategies for tree removal Wantirna, we only use the most modern climbing and rigging methods and gear utilised in our industry for safe and professional services. Green and Gold Tree Removals are the top technicians in stump removal Wantirna residents recognise and trust. We utilise the latest in stump removal machinery with our stump removal machine. Instead of spending tireless hours digging around the tree roots and leaving a huge hole, the stump is simply broken down into a mulchy, woodchip-type texture. With no spades or diggers, there are no massive holes left over, and the machine also backfills while operating. Whether the stump is located in a grassy area and invades the lawn aesthetics or in the way of possible renovations, or even against fixed objects, rest easy knowing that Green and Gold tree removal services are here to help. Get your free Green and Gold quote today! We’re passionate about delivering the best tree removal and tree cutting Wantirna has on offer. We’re here to aid you with any questions to do with all your tree care needs, with no tree pruning, cutting or removal inquiry too big or too small. Our customer base is extensive, and we’ve even had the privilege of providing expert arborist care to some of Melbourne’s most acclaimed and admirable gardens, including the Royal Botanic Gardens. Everybody not only needs, but should invest in proper tree care for peace of mind, from removals to maintenance, pest and disease management and so much more. For a free, no obligation quote, please contact us today.